A round-up of all improvements and changes to the Buzz platform in version 2.0.61, available on August 4, 2016. As previously announced, the new Editor was turned on for all schools and accounts yesterday (August 4). If your school needs more time for training and transition, you can reach out to your account manager to discuss the possibility of delaying it. We've added time-saving bulk edits to the Editor tool's Activity List. Additions include Remove due date, Change late-submission policy, and Change passing score. 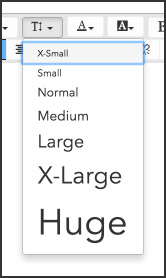 Allow more font sizes and colors, including the ability to enter a color's hexadecimal number. Provide a full screen mode, giving you much more space to create lessons, especially when providing feedback! This mode is available the Editor tool and when providing feedback in the Activity Grader and Grade Editor. Updated the Activities tool to allow teachers to browse a SCO activity (where allowed) by using the browse toggle in the toolbar. Updated the Courses tool to allow administrators to make bulk updates to courses using course templates settings. Updated the upload resource window to specify which file types are accepted where there are limitations. 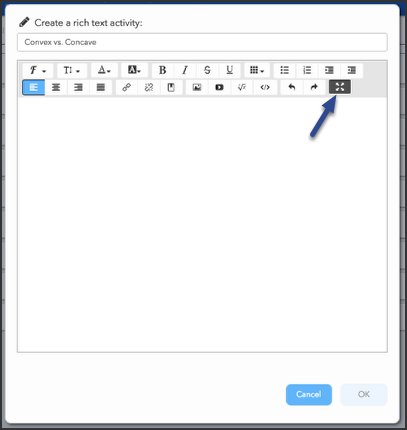 Updated the rich text editor to allow hyperlinked images. Updated the Teacher app to allow teachers to switch to the Student app (via the User Menu) if they have old student enrollments. 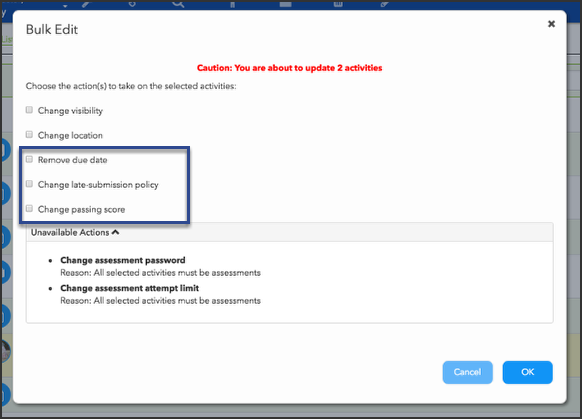 Provided admins the ability to switch to the Teacher app to create courses if they have appropriate permissions. Previously, a user had to have a teacher enrollment to do this. Updated activity menu in the Scheduling tab to give users the options to Remove Due Date, Remove Visibility Date, and Remove Grade-Release Date. Updated Badge image styles for consistency. Simplified assessment security settings, so that course authors only need to provide a password if they wish students to be required to enter one for each attempt. Fixed an issue where the icons attached to bookmarks would resize based on the length of the accompanying bookmark title. Updated Bookmark field language to clarify confusion between "roles" and "applications" (e.g., Student, Teacher, Admin). Fixed an issue where an admin could upload a resource by providing a name and without a file. Fixed an issue where Flash videos/content created in BrainHoney would not display. Fixed issue where custom menu entry pages would not load. Fixed an issue where the Performance tool would not display changes associated with selecting a new group without refresh. Fixed an issue where users could not access and add resources using the Embed content button in the Agenda and Landing Page rich text editors. [Firefox] Fixed an issue where the code preview would not display the embedded content when using the Embed content button in the rich text editor. Fixed an issue where dropdown menus in the Wiki rich text editors would open inside of the content frame instead of on top of them, so users could access the options. Fixed an issue where feedback templates in the Grade Editor and Activity Editor would not display attached dimages if multiple lines of content where included. Fixed issue where adding a link could move the text cursor to the front of the content. Fixed an issue where changes to an activity's custom meta-data would not update without refreshing the page. Corrected the Metadata tooltip regarding field requirements. Removed the ability to delete objectives when viewing them in Activity Editors. Fixed an issue where images inserted into a question would not appear in the question editor even though they would appear in the question preview. Fixed an issue where a Library search would report OpenEd results when there were none. Fixed an issue where users could not preview a newly created linked question until the assessment was saved. [Firefox & IE11] Realigned "Choose Resource" with the resource input field in the Embed Content dialogue. Fixed an issue where Buzz would attempt to save question edits to where the question originates from instead of in the course the user is editing it in. Updates in version 2016.8.2.1884. Learn more. Updatecourses: Allows for the changing of a schema 2 course to a schema 3.